A troop with leadership, outdoor activities and tons of fun! New Eagle Scout: Jeffrey Lee Congratulations to Jeffrey Lee who passed his Eagle Board of Review last Monday, 08/06/18. 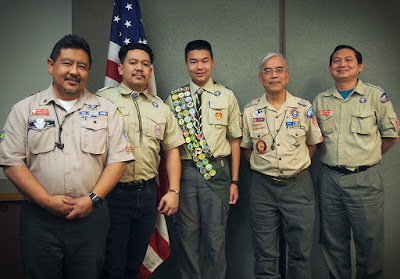 A New Eagle Scout: Frank Lee Congratulations to Frank Lee whom passed his Eagle Board of Review today.